Do rear hubs & bearings hold up to power?? Not technically an induction question but I figured some of you might have run into this. I am building a Ti with a built M52 turbo aiming for 650whp. I know the Ti's have the smallest wheel bearings and honking rear hubs that stick out more than any other comparable model. My question is; if I achieve my hp goal will I definitely have issues breaking either of these components?? (based on your experience or situations you've heard of). This is something I need to figure out before ordering other things like brakes, axles, diff parts etc. I know I can buy M Roadster everything but obviously I'm trying to avoid it if not absolutely necessary. Also, this is for a street car, I don't ever plan on mounting slicks. Any input is appreciated!! You'll probably break the small case diff first that is if you can get enough traction. Unless you do some major mods 255's are about the widest tires will fit the wheel wells. What did you decide for the brakes? Also is there a difference in strength between clutch type LSD vs Torsion? If the torsion diffs have stronger internals (no idea if true or not - just an idea) you can go go with that. Seems like 188mm diffs are pretty strong: ? Last edited by anassa; 01-03-2017 at 04:21 AM. I found people who make adapters to fit e46 rear brakes and still keep my ebrake. Not sure about the strength of Torsen vs. clutch type diffs. I have used quaife in FWD cars that held up beautifully for 7 seven years but the diff. alone is like $1500. Thayer can add two extra clutches and and cryo gear treatment for that price. I am using a 2.93 gear with pretty wide street tires. I think I might have to flip a coin on which route to go really, just hoping to come across someone with experience with either. I feel like either route is pretty strong and not ever mounting slicks should help with longevity. We'll see. Are you going with the 300mm rear vented setup? I bought the adapters for those myself, I haven't installed them yet. True, sounds like a plan, keeping to lower geared diff, maybe some thicker e30/custom axles, not too sticky tires to keep the weak link at the tire, not drive-train and you might be good to go. Do rear hubs &amp; bearings hold up to power?? I found SRS Concepts, they make brake adapters that allow you to use E46 rear brakes (294mm) and retain the stock e-brake. Since I'm building a street car I am going that route. I will be looking into some beefy axles now though. Okay cool, I got the same set, I think you are going with 1series rotors though for 300mm instead of e46 rotors, the calipers are from the e46 though. I am running E30 arms, axles, and bearings. That's why I am using the 294mm instead of the 128i brakes(300mm). If you are retaining the Ti hubs etc., then that 300mm kit looks great as well. Many people go back and forth about balance and bias but I feel like if that's an issue, it's not a big deal to install a proportioning valve. I have done that on other cars in the past. I may even ditch the abs unit altogether and do that anyway. 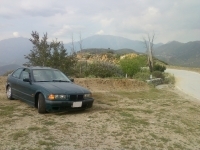 [QUOTE=Johjamkep;383348]I am running E30 arms, axles, and bearings. That's why I am using the 294mm instead of the 128i brakes(300mm). If you are retaining the Ti hubs etc., then that 300mm kit looks great as well. Many people go back and forth about balance and bias but I feel like if that's an issue, it's not a big deal to install a proportioning valve. I have done that on other cars in the past. I may even ditch the abs unit altogether and do that anyway. Sorry about all of these quotes. I'm still figuring out this damn messaging system.